The Kahnawake Mohawk Territory is a reserve for natives in Quebec. Like many such groups of native people, they have turned to the licensing of online gambling services as a source of revenue and industry. While they are known as one of the more relaxed licensing jurisdictions in terms of their financial requirements, the Kahnawake online gambling licensing board still has a very solid set of principles that they take very seriously, and they have shown in the past that they are not shy about pulling the licenses for operators or software companies if those principles are violated. 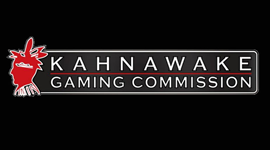 Instead of having a very strict piece of legislation that outlines in painstaking detail what guidelines companies have to follow to gain a license, the Kahnawake Gaming Commission follows a set of general principles. Those principles include that the games are fair to the people who play them and that winners are paid out in reliable fashion. On top of that, they have a fairness policy towards companies that would want to operate with one of their gaming licenses to help make sure that no person or group will be discriminated against during the licensing process. One of the interesting aspects of their policies is that not everyone is allowed to play the games that are offered from businesses licensed by the Kahnawake Gaming Commission. They require their licensees to obey local and national laws to a degree when it comes to where businesses can offer their services. While this doesn’t usually restrict much in terms of practical markets, it’s interesting to see that there’s a licensing body out there that enforces this on some level. There are four basic types of licenses that are given out by the Kahnawake Gaming Commission. The first is the IGL or Interactive Gaming License, and this is given for a company to operate and manage compute servers in the territory. Something very interesting about this is that there’s only one of these licenses allowed to be given out at any given time, and they are currently given to a data center in the area. The second type of license is a CPA or Client Provider Authorization, and this is what’s given out to companies that operate online gambling sites of different types. There’s also a Secondary Client Provider Authorization or a Secondary CPA which allows these sites to operate in other jurisdictions. Finally, there is a KPL or Key Person License which is given to the person or persons administrating over the CPA. These four types cover every type of license that the KGC gives out at this point in time.